Interrogating the relationship between women and psychosis from a variety of perspectives, this edited collection explores personal, literary, spiritual, psychological, biological and psychodynamic approaches. Chapter themes include explorations of medieval mystics and witches, postpartum psychosis, disordered eating, art and literature, feminism, and male/female differences in schizophrenia. Women with lived experience of psychosis, psychotherapists, and a shaman provide personal accounts to ground the book in lived experience. 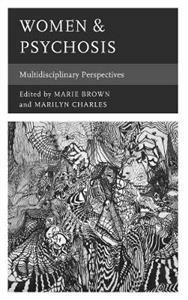 Curated with the intent to expand the way we think about women and psychosis, the contributions to this title recognize that `voices and visions' do not occur in a vacuum but are experienced within, and are influenced by, particular socio-cultural contexts.